We would start our tour in the Queen's House. 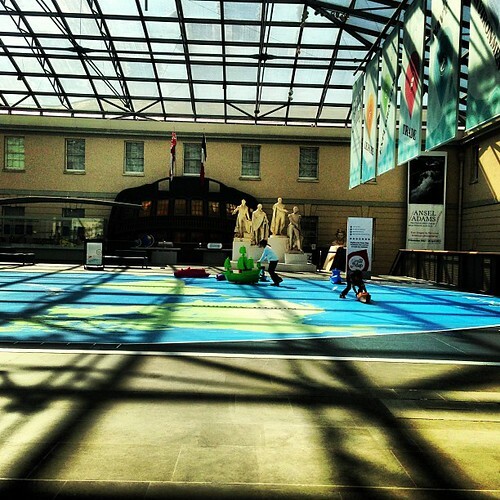 This palace from the 1600's holds the National Maritime Museum's art collection on 3 floors. The house itself, with its painted ceilings, is worth seeing in addition to the art on the walls. A neat architectural feature is the Tulip Stairs. When there see if your family can spot resident ghosts. Right next door to the Queen's House is the National Maritime Museum. Beyond the art in the Queen's house the museum holds a number of exhibits ranging from flags, photos, models, full sized ships and weapons. One of the exhibits I believe the family will be interested in is the Great Map. For the young ones it is matted area where they can play, run and move ships around. For the older youth there are tablets that will tell about naval events and even use real time ship data of vessels around the world. There are other interactive exhibits in the museum as well. Kids can operate cranes or send telegrams. There is a ship simulator that allows you to be on the bridge of a modern day ship or in the Children's Gallery you can fire cannons at pirate ships. 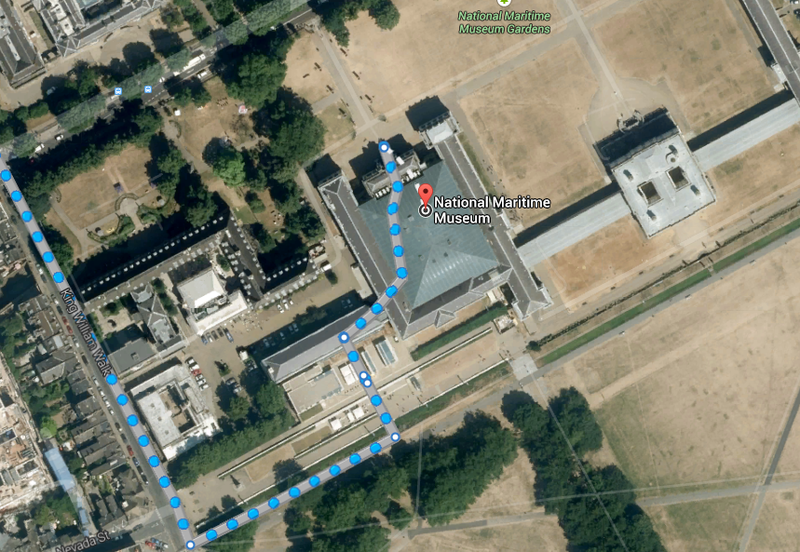 There are bathrooms on the ground floor of the Queen's House and each floor of the National Maritime Museum. WiFi is available in the Compass Lounge, located on the ground floor of the main museum. While in the Compass Lounge pick up a Compass Card. This barcoded card allows you to find hidden stories and features throughout the museum. Entrance to the Queen's House and National Maritime Museum is free but may have temporary exhibits that require tickets. There are several options in getting your family to Greenwich. The first option is to talk a boat and arrive at the Greenwich Pier. This will take you about an hour from Embankment. Another option is to take the Dockland Light Rail from Tower Hill to Cutty Sark or bus route 188. If you are feeling adventurous you can ride a bike to Cubitt Town and walk under the river through the Greenwich foot tunnel. Going on a family vacation builds memories, provides life changing experiences and helps teach about the world we live in. Take time to explore, enjoy and have fun. 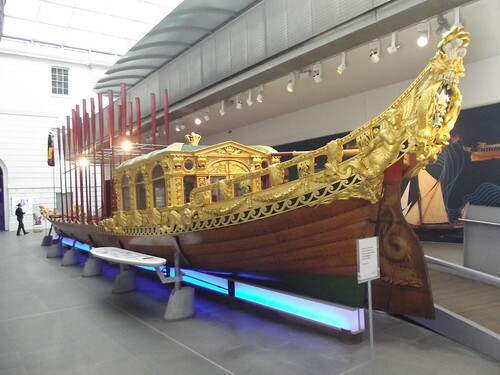 If the National Maritime Museum sounded interesting, you may also like the Discover Greenwich Visitor Center. You can also look at our entire list of London Attractions.